At the invitation of President Xi Jinping, President Khaltmaagiin Battulga of Mongolia will pay a state visit to China and attend the second BRF from April 24 to 28. 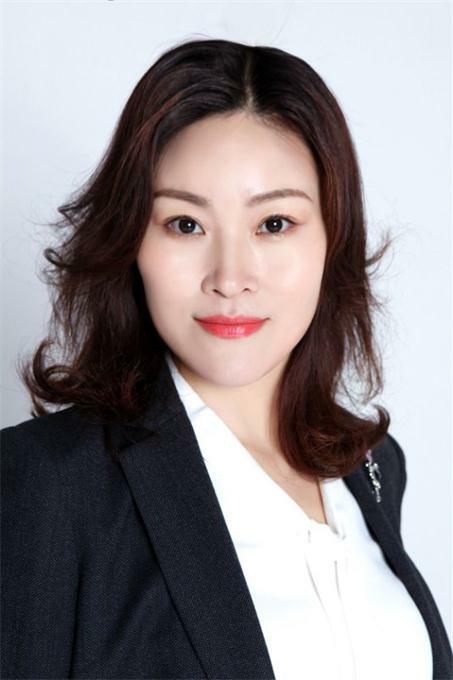 At the invitation of President Xi Jinping, President Bidhya Devi Bhandari of Nepal will pay a state visit to China, attend the second BRF and the opening ceremony of the 2019 International Horticultural Exhibition in Beijing from April 24 to May 2. At the invitation of President Xi Jinping, President Marcelo Rebelo de Sousa of the Portuguese Republic will pay a state visit to China from April 28 to May 2 and attend the second BRF before the visit. At the invitation of President Xi Jinping, President Ueli Maurer of the Swiss Confederation will pay a state visit to China and attend the second BRF from April 23 to 30. At the invitation of Premier Li Keqiang, Chancellor Sebastian Kurz of the Republic of Austria will pay an official visit to China from April 25 to 29. Chancellor Kurz will also attend the second BRF during his visit. Q: Do you have any comment on the recent presidential election in Indonesia? A: We would like to congratulate Indonesia, a friendly neighbor, on its smooth presidential election. We respect the choice of the Indonesian people and believe Indonesia will sustain the sound momentum of stability and development. China attaches high importance to relations with Indonesia. In recent years, by grasping opportunities brought by the Belt and Road Initiative, our two countries have made much progress in growing bilateral relations with fruitful practical cooperation in various areas. China stands ready to continue to work with Indonesia for further development of our comprehensive strategic partnership. Q: In a recent interview, Malaysian Prime Minister Mahathir Mohamad replying to a question on China said that "we have had China as a neighbor for 2,000 years; we were never conquered by them". He also said that China has contributed a lot to world economic growth, in particular development of developing countries. Do you have any comment on that? A: We appreciate the remarks by Prime Minister Mahathir. China is committed to developing friendly relations with Malaysia. This year marks the 45th anniversary of the establishment of diplomatic relations and Prime Minister Mahathir will come to China for the second Belt and Road Forum for International Cooperation (BRF) next week. We will take these opportunities to renew traditional friendship, enhance high level interactions and explore potentials in BRI cooperation for greater development in bilateral relations and more benefits to our countries and peoples. Just as Prime Minister Mahathir pointed out, China always endeavors to achieve shared development with other countries through win-win cooperation. The BRI, for instance, is a public good China has offered to the world in the new era, through which we hope to share development opportunities and benefits. We will do our best to deliver a successful forum next week to build consensus and highlight the theme of peace, cooperation and development. Q: Recent reports have recorded a large expansion of China's distant ocean research fleet conducting operations in the Western Pacific. Some overseas commentators believe these missions may have a dual purpose and are designed to gather information for military purposes such as submarine channels. Is China mapping this region for military purposes? A: I don't know who these commentators are. China has been observing international laws including UNCLOS while exercising its freedom of scientific research in the high seas. 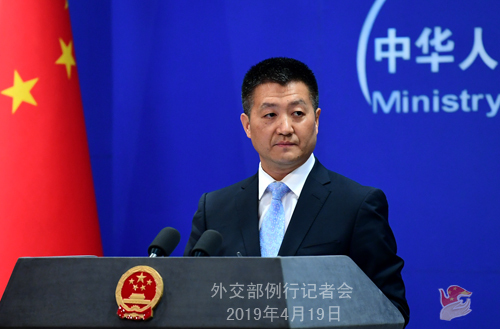 China fully respects the rights of coastal states in whose jurisdiction the research activities are being conducted and opposes activities that undermine peace, good order and security of coastal states. This is our principled position. China's scientific research activities in the west Pacific accord with the relevant stipulations of UNCLOS and have contributed to the strengthening of marine scientific research. China hopes that all relevant parties will correctly view China's normal scientific research activities instead of making speculations wearing tinted glasses, or disrupting or hurting China and other countries' normal cooperation in marine scientific research. Q: Do you have more details on the expectations for the outcomes of the visit of the President of Chile? A: As I announced earlier, at the invitation of President Xi Jinping, President Sebastián Piñera Echenique of the Republic of Chile will pay a state visit to China and attend the second Belt and Road Forum for International Cooperation (BRF) from April 24 to 28. Chile is China's important cooperation partner in Latin America and the Asia-Pacific. The two sides have established a comprehensive strategic partnership. With our concerted efforts, bilateral relations have been growing steadily throughout the past 49 years since diplomatic relations were established. China-Chile relations have long been growing ahead of China-Latin America relations, registering many "firsts" in various areas. For example, it is the first Latin American country to sign a free trade agreement with China. At present, China-Chile relations are at their historical best. Based on the information I have at the moment, President Xi will hold a welcome ceremony and a welcome banquet for President. They will hold formal talks and attend a signing ceremony. Premier Li Keqiang and Chairman Li Zhanshu will also meet with him respectively. The two sides will exchange views on bilateral relations and issues of mutual interest. President Sebastián Piñera Echenique will also attend events with the business and cultural communities of the two countries. We believe that through this visit, the two sides will build on the momentum of BRI cooperation to bring our comprehensive strategic partnership to a new height by further enhancing political mutual trust and deepening friendly and mutually beneficial cooperation in various fields. Q: The US says a WTO dispute settlement panel found China's tariff-rate quota for wheat, rice and corn inconsistent with its WTO commitment. Do you have any comment on that? A: The Ministry of Commerce has made clear China's position on this issue. 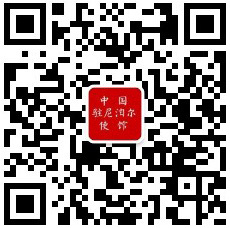 On April 18 Geneva time, the WTO issued a dispute panel report on the US complaint against China's tariff-rate quotas (TRQs) for rice, wheat and corn. 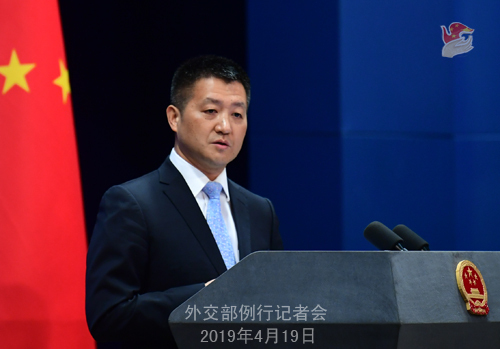 China welcomes the panel's ruling against the US claim that China should provide public notice in connection with certain information of TRQs. 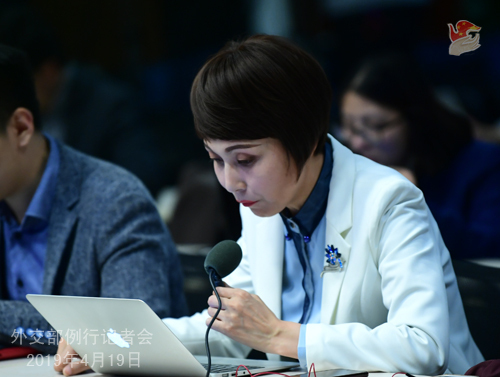 However, we regret its conclusion that China's administration of TRQs as a whole violated its obligation under the terms of its WTO accession. China always respects WTO rules. We will earnestly review the panel report, properly deal with this issue via WTO dispute settlement procedures, uphold the stability of the multilateral trading system and continue to administer the TRQs on agricultural products in line with WTO rules. Q: First question, according to KCNA reports, the DPRK hopes that US State Secretary Mike Pompeo will no longer be part of their talks and that he should be replaced by someone more careful and mature in communicating with the DPRK side. I wonder if you have any comment? My second question, the Russian side said that leaders of the DPRK and Russia will be meeting in late April. Do you have any comment on this? A: Regarding your first question, we have noticed relevant reports, but we are not in a position to comment, right? As the DPRK and US leaders hope to maintain the momentum for dialogue, we hope this momentum will be sustained and more positive outcomes achieved through the dialogue, which will contribute to denuclearization and the political settlement of the Peninsula issue. To answer your second question, we have noted relevant reports. The DPRK and Russia are both China's friendly neighbors. We are pleased to see them advancing bilateral ties and enhancing high-level interactions. Such efforts, we believe, will contribute to the political settlement of the Peninsula issue and peace and stability in the region.